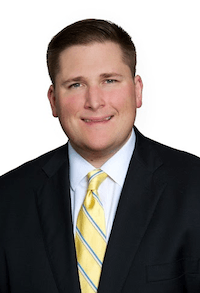 Christian J. Kubic practices primarily in the area of personal injury litigation with a focus on motor vehicle liability, premises liability, municipal liability, and actions arising out of violations of the New York Labor Law. Mr. Kubic joined Caesar and Napoli, P.C. as an associate in 2015 after previously working at a defense litigation firm in Manhattan and, prior to that, as an Assistant District Attorney in the Nassau County District Attorney’s Office. Mr. Kubic's experience advocating for justice on behalf of victims of crimes armed him with the necessary skills to now fight on behalf of injured victims that were wronged by the negligence of corporations, individuals, and municipalities. Mr. Kubic is admitted to practice in New York, New Jersey, the United States District Court for the District of New Jersey, and the United States District Courts for the Eastern and Southern Districts of New York. Mr. Kubic was awarded a degree in mathematics from Boston College prior to attending St. John's University School of Law. At St. John's, he was Assistant Managing Director of the Frank S. Polestino Trial Advocacy Institute and had great success in national trial advocacy competitions. He was a semifinalist in the 2007 Puerto Rico Invitational Criminal Trial Advocacy Competition, a semifinalist in the 2007 American Bar Association National Criminal Justice Trial Advocacy Competition, and a finalist in the 2008 American Bar Association National Criminal Justice Trial Advocacy Competition. Copyright © 2018, Caesar and Napoli, P. C.